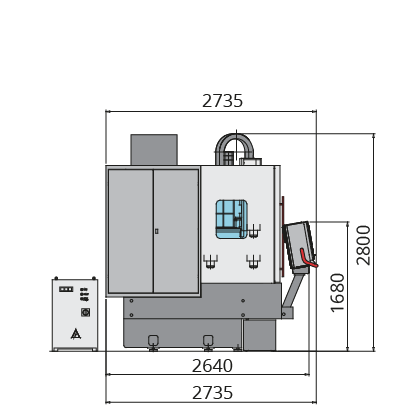 HS664 is a line of 3, 4 and 5 axis milling centres with X, Y and Z travel of 600, 560 and 400 mm, respectively. HS664 V machines are equipped with a 1000x550 mm fixed table, while HS664 RT machines have an integrated roto-tilting worktable. HS664 milling centres are versatile, suitable for the machining of both 60 HRC and harder steels as well as light alloys and graphite. The characteristic moving portal structure of the HS664 guarantees the maximum of rigidity and performance at any working condition. The design pays particular attention to the containment and disposal of swarf, making these machines suitable also for mass production with heavy stock removal. The styling of the guards allows for optimum viewing of the part being machined as well as ease of loading with a bridge crane. 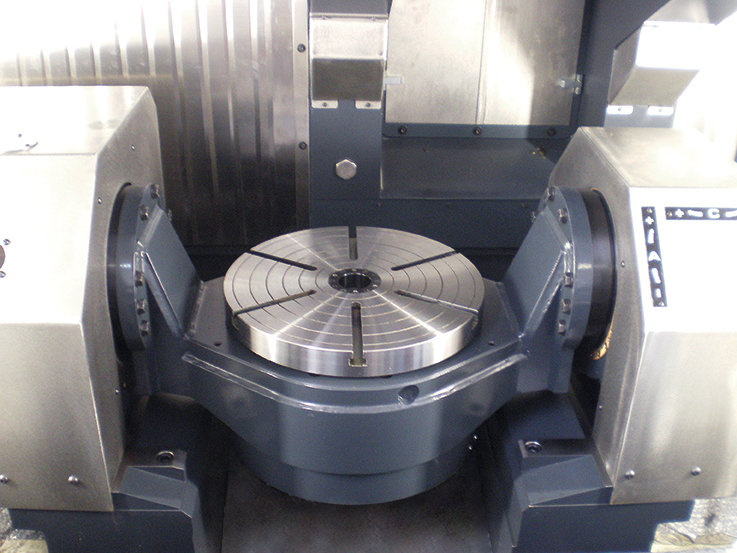 HS664 milling centres can be equipped with different spindles designed to satisfy the most advanced market requirements: from a powerful 24,000 1/min spindle with HSK63 tool holder to a very fast 36,000 1/min spindle with a robust HSK 50 tool holder. 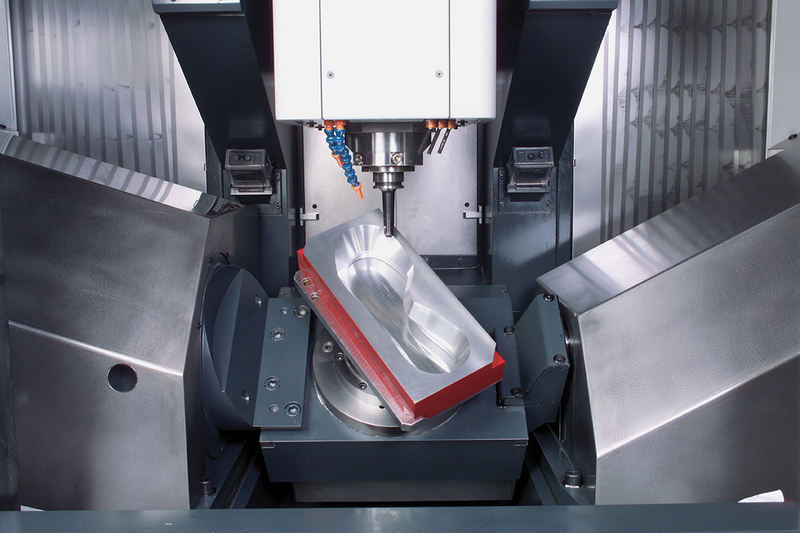 HS664 machine tools can mill complex three-dimensional surfaces using part-programs that are either generated by resident or external CAM systems, or by milling digitized data. 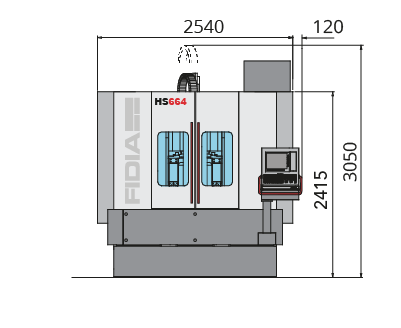 HS664 milling centres use the Fidia C1 numerical control. The most usual applications include the machining of dies for forging, moulds and models for footwear, moulds and dies for domestic appliances, toys, jewelry and for the electronics industry, components for the aeronautics industry and the machining of copper and graphite electrodes. 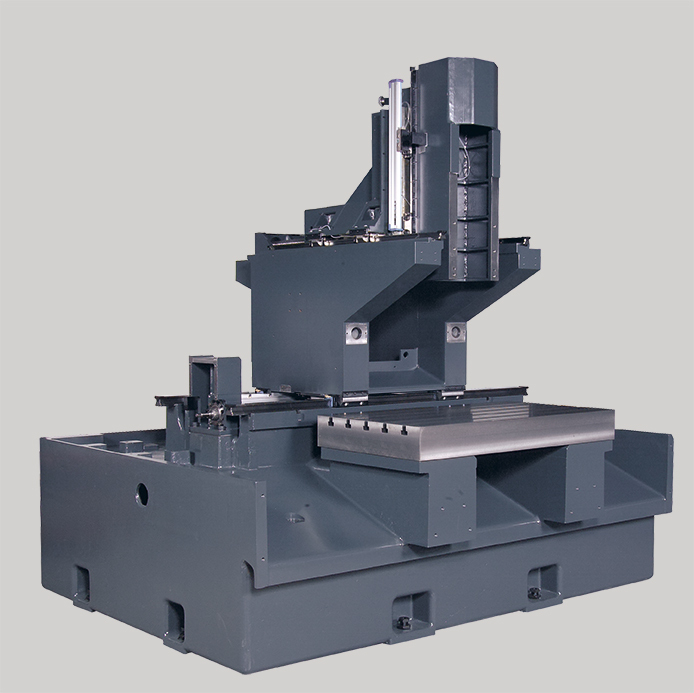 All linear movements are performed by the spindle head. 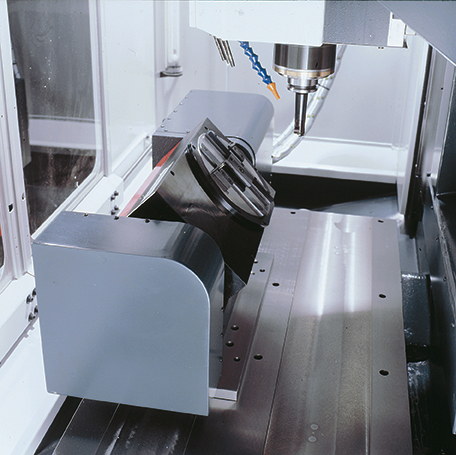 reduction of overall machine tool dimensions. The cast iron bed does not require dedicated foundations, while the moving structures, made of steel, provide the best mass-rigidity ratio in order to guarantee high dynamic performance. improved machining resolution and accuracy. Axis movement is driven by recirculating ball screws and brushless motors. The guides and recirculating ball screws are automatically grease lubricated. The linear axis feedback take place through optical scale transducers. 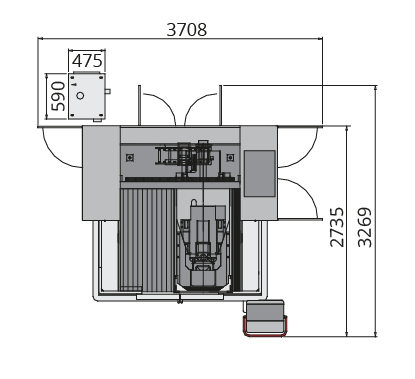 In order to provide the best solution for specific requirements, spindles with a power of up to 25.8 kW and a maximum speed of 36,000 1/min are available. All spindles have ceramic ball bearings and are refrigerated by the circulation of coolant at a controlled temperature. The vectorial control method used for the electrospindle drives ensures optimum behaviour, even at low rpm. The HS664 V version has a fixed worktable quite larger than the work area. The table is made of cast iron with T slots for easy clamping of the workpiece, centering and automatic locking systems; this also facilitates the attachment of additional rotary tables with a 4th axis and tilting tables with 4th and 5th axes. 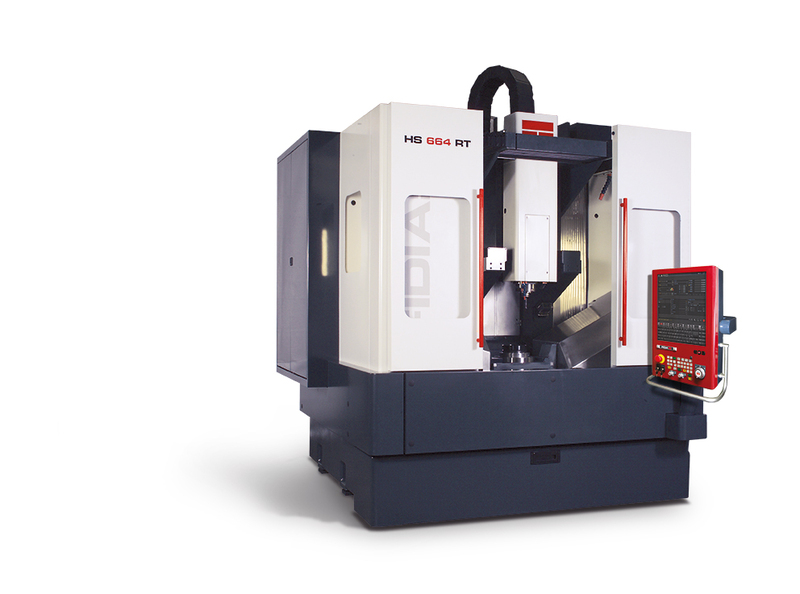 The HS664 RT version, equipped with its integrated rototilting worktable with a faceplate of up to 400 mm in diameter, is the solution for 5 axis simultaneous complex machining where heavy stock removal is required. This version is suitable both for the moulds and dies sector and for the aeronautics industry. The cast iron worktable is carefully integrated in the bed to allow for the machining of diameter up to 570 mm workpieces and to ensure swarf disposal while easing maintenance. The 4th and 5th axes are fitted with direct transducers and can be operated either in continuous interpolation or clamped by hydraulically operated brakes. A standard chain housing 20 tools is mounted in the X axis slide and protected from swarf and coolant. The tool change can be extended up to 42 positions. The work space has been designed to allow for full containment of the swarf and ease of disposal. 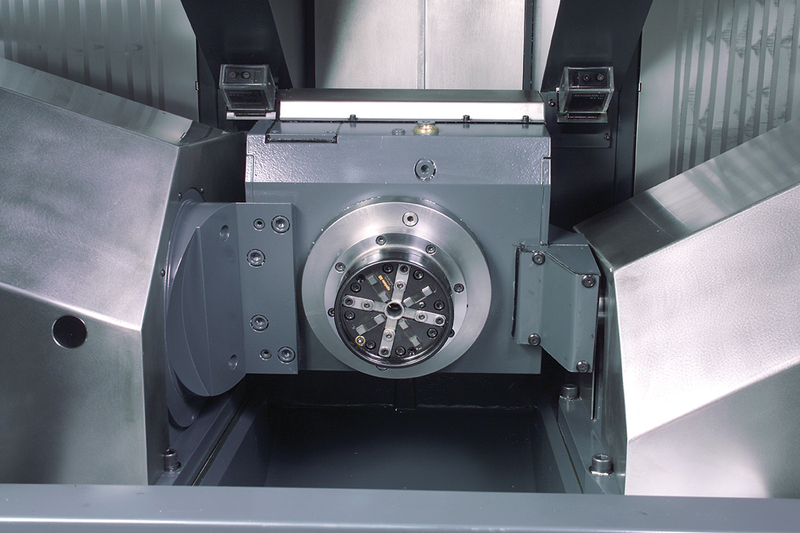 The cover can easily be opened to enable the workpiece and equipment to be loaded from above with a bridge crane. Automatic presetting of the tool length on the machine simplifies tooling procedures for new machining operations or when replacing worn tools. Indispensable for unmanned machining operations, tool presetting is available in a digital probe version or with a focused laser probe. 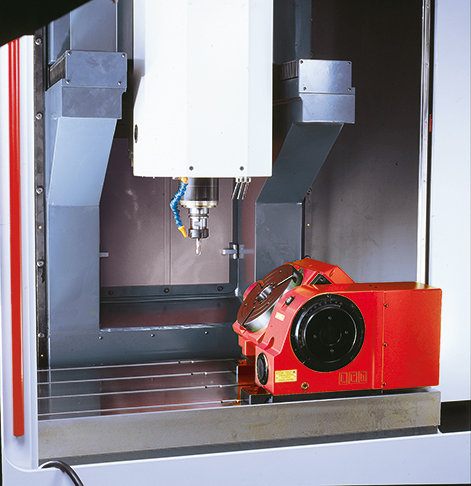 In addition to checking the tool length, the focused laser system also checks the tool diameter and shape. Minimum lubrication and tool lubrication / cooling using soluble oils are supplied as standard together with a swarf collection tank on wheels. The swarf conveyor is the scraper type. Adequate jets of coolant ensure that the work area is kept clean even in the heaviest stock removal conditions. The conveyor is fitted with self-cleaning filters and with a pump for the external lubrication / cooling of the tool. The 25.8 kW spindle can have an high pressure (50 bar) coolant through the shaft. Essential when machining graphite or resin, the high capacity suction device is mounted externally to the machine tool. It is equipped with selfcleaning filters with a high degree of filtration that are able to operate in the presence of explosive dust. 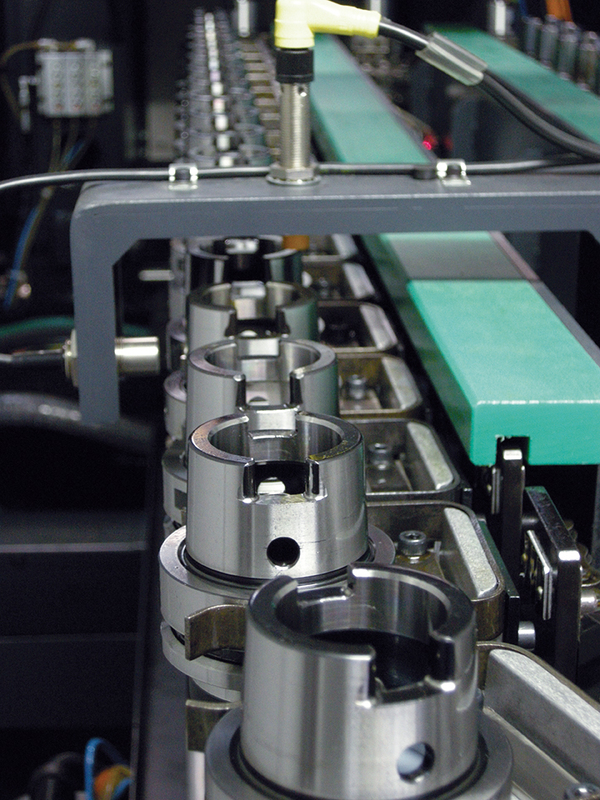 The total absence of any moving parts below the work surface guarantees the maximum efficiency of use of the HS664 in these kinds of applications. 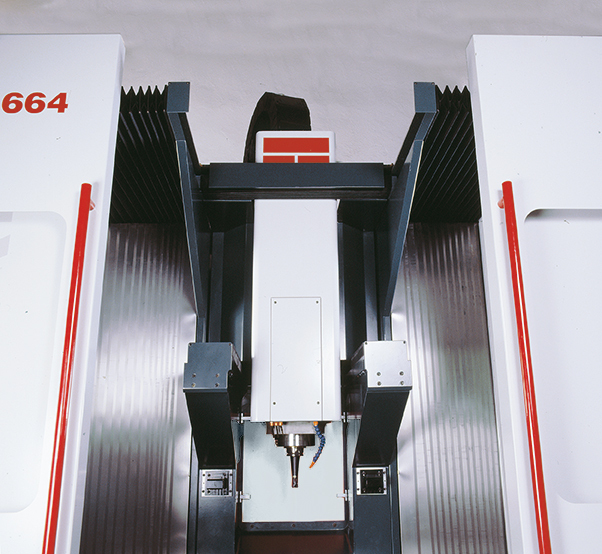 The automatic magazine loader, for 8 or 16 workpieces, significantly extends machine tool autonomy. 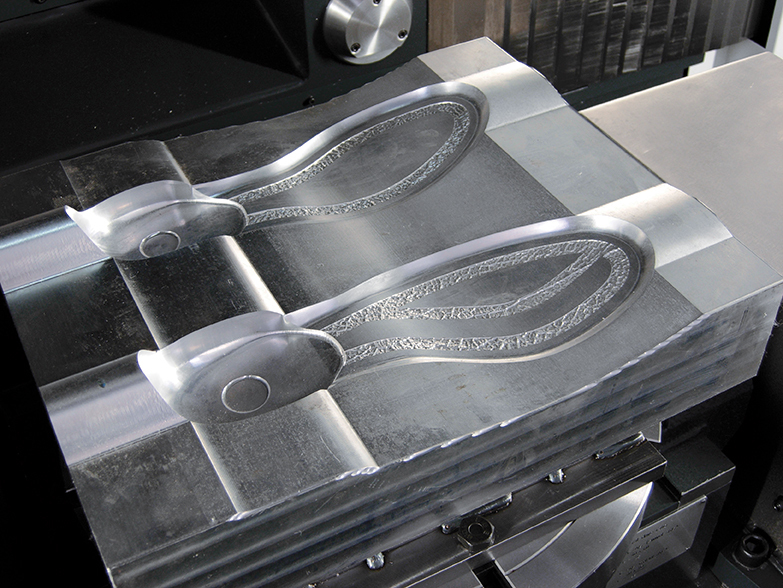 Copper or graphite electrodes, aluminium parts, steel blocks or models can easily be milled in unmanned machining mode. The magazines can be interfaced both with the 3 axis versions and the 5 axis versions. They are mounted on guides to give operator access to the front part of the machine tool and to facilitate the fine-tuning of programs.